DE LUCIA PACO, LA GUITARRA DE. DE LUCIA PACO, ENTRE DOS AGUAS. El libro está escrito únicamente en formato Partitura: Entre dos Aguas -Soniquete (Bulerías) -Casilda (Tanguillo) -Callejón del Muro (Minera) -Mi Niño Curro (Rondeña) -La Barrosa -Monasterio de Sal. NO tab. ACOMPAÑAMIENTO AL CANTE FOR SOLEÁ : GUITARRA FLAMENCA PASO A PASO VI. DVD TAB. DESCRIPCIÓN: Contiene video de 75 min. y un libro de partituras de 50 páginas en música y cifra. Tras varias explicaciones de la técnica de acompañamiento del cante por soleá, Paco del Pozo interpreta con Oscar Herrero a la guitarra, la Soleá de Alcalá y Soleá de Cádiz, además deotros dos cantes que se acompañan con ritmo de soleá como son la Caña y el Polo. Paco del Pozo interpreta los mismos temas acompañado por percusión y palmas, para que la guitarra la ponga el alumno en casa. Multisistema - Español, Inglés, Francés y Japonés. After guitar accompaniment "por soleá" technique explanation the "cantaor" (flamenco singer) Paco del Pozo and Oscar Herrero as flamenco guitarist, play two different kinds of "soleá", the "Soleá de Alcala" and the "Soleá de Cádiz", and two more songs with "soleá" rhythm as the "La Caña" and the "El Polo". Later Paco del Pozo sings again without guitar accompaniment, just with percussion and clapping, then the student can play the guitar accompaniment. 78-minute. The accompanying 48-page book teaches accompaniment to flamenco songs. It includes rasgueados, melodies, and descriptions and structure for each song. Lyrics appear at the end of the book. The music is written in notation and tablature with the text in English, Spanish, and French. In-depth study of the accompaniment to the cante por Alegrias. Concert themes are developed and a book of music in notation and cifra is provided. Oscar Herrero begins by demonstrating various rasgueo patterns por Alegrias which are used as the basis for the accompaniment to el cante por Alegrias. In addition three cantes which use the alegrias rhythm in accompaniment are included, these are the Mirabrás, Romera and Caracoles. First, the songs are interpreted by the cantaora Maria de Toledo accompanied on the guitar by Oscar Herrero. Then the cantaor sing the same songs this time accompanied only by percussion and palmeros, so that the student can add the guitar part himself. This 45-minute DVD includes a separate book. GUITARRA FLAMENCA PASO A PASO. TAB. Libro de partituras de los temas de introducción de la serie de vídeos Guitarra Flamenca Paso a Paso, FLAMENCO GUITAR. STEP BY STEP. Herrero. Tema de entrada del vídeo 1: "De Colores" (Bulerías) -Tema de entrada del vídeo 2: "Eclipse" (Taranta.Bulería) -Tema de entrada del vídeo 3: "El rastrillo" (Sevillanas). This book offers notation and tablature transcriptions of the themes used to introduce and illustrate Oscar Herrero's three-volume video series "Flamenco Guitar Step by Step." Appropriate for the intermediate to advanced flamenco guitarist, the music in this book is distinct from that which comes with the videos. The music transcribed in this book is played behind the opening and/or closing credits of the videos. Text is in English, French, and Spanish. LA SOLEÁ II: GUITARRA FLAMENCA PASO A PASO V. DVD TAB. DESCRIPCIÓN: Contiene video de 65 min. más un libro de partituras de 40 páginas en música y cifra. Oscar Herrero continúa con el estudio de los elementos que componen la estructura de la soleá, como: la falseta, el remate, la llamada y el final. Se explican en detalle falsetas "tipo" como introducciones, secuencias harmónicas y posiciones fijas. Para acabar interpreta dos soleares "Sendero" y "Atril flamenco". Los toques que en ambos temas han sido utilizados como base en los ejercicios y la explicación a lo largo de los dos videos "la soleá 1" y "la soleá 2". Multisistema - Español, Inglés, Francés y Japonés. Oscar Herrero continues with rest of elements which the "soleá" is made up as: "la falseta", finishing of "el remate", and the call "la llamada". Typical traditional kinds of "falsetas" and introductions are explained in detail. At the end of this episode, he plays two "soleares" the "Sendero" and the "Atril flamenco". Both pieces were made up with elements studied into the two episodes "La Soleá 1" and "La Soleá 2". 60-minute. The accompanying 44-page book contains patterns and exercises, including falsetas, remates, llamadas, introductions, sequences, fixed positions, and endings. The music is in notation and tablature. The text is in English, Spanish, and French. Oscar Herrero continues with the rest of the elements which the "soleá" is made up: "la falseta", finishing of "el remate", and the call "la llamada". Typical, traditional kinds of "falsetas" and introductions are explained in detail. At the end of this episode, he plays two "soleares" the "Sendero" and the "Atril flamenco". Both pieces were made up with elements studied into the two episodes "La Soleá 1" and "La Soleá 2". 60-minute. LA SOLEÁ I: GUITARRA FLAMENCA PASO A PASO IV. DVD TAB. Contiene video de 60 min. más un libro de partituras A4 de 22 páginas en música y cifra.Oscar Herrero, depsués de la interpretación de la soleá "Majestad", explica el ritmo de la soleá , y se hacen varios ejercicios con palmas. Posteriormente se estudia la estructura de los toques y parte de los elementos que componen la soleá como : el cierre, los compases rasgueados y las melodías 7-8-9. Multisistema - Español, Inglés, Francés y Japonés. Oscar Herrero after playing the "soleá" "Majestad" explains the "soleá" rhythm, and some clapping exercises are made. Then explains the structure of basic rhythms and part of elements which the "soleá" is made up as: "el cierre", strummed measures and 7-8-9 melodies. 60-minute. The accompanying 28-page book contains clapping exercises, the structure of the styles, a guide to notation, rasgueados, melodies, and a glossary. It also includes a guide to a piece which is made up of elements studied in this book and in the next volume, La Soleá (II). The music is in notation and tablature. The text is in English, Spanish, and French. Oscar Herrero after playing the soleá Majestad explains the soleá rhythm, and some clapping exercises are made. Then he explains the structure of basic rhythms and part of elements which the soleá is made up as: el cierre, strummed measures and 7-8-9 melodies. 60-minute. GUITAR JAMMIN', '50s & 60s ROCK SONGS. Basi complete senza preascolto, per chitarra e canto, ricreate fedelmente da strumentisti; non con sequencer. Contiene: the sunshine of your love (Cream) -day tripper (The Beatles) -suzie Q (Dale Hawkins with James Burton) -I can see the miles (the WHO) -boppin' the blues (Carl Perkins) -hey Joe (Jimi Hendrix) -get back (the Beatles). CD TAB. GUITAR JAMMIN'. HARD ROCK SONGS. Tracks senza preascolto, per voce e chitarra. Potrete ricreare la song originale o inventarvi un vostro fraseggio. Contiene: crazy train (Ozzy Osbourne) -Detroit rock city (Kiss) -iron man (Black Sabbath) -sweet child o' mine (Guns n' Roses) -you really got me (Van Halen) -the unforgiven (Metallica) -living after midnight (Judas Priest). CD TAB. BOOK FOR GUITAR WOTH JAMTRAX, AND TABLATURE. Each track represents an important classic in this history of blues guitar. allow one guitarist to accurately recreate the track. and positions; what you like you can keep, what you don't you can discard. experiment with your own ideas. YOUR TURN TO BURN with the hottest BAND IN TOWN! Black Magic Woman (Santana) • and more! Night • Highway Star • and more. Clapton) • Yesterday (The Beatles) • and more. Moore) • Hideaway (Eric Clapton) • and more. Prices, contents, and availability subject to change without notice. 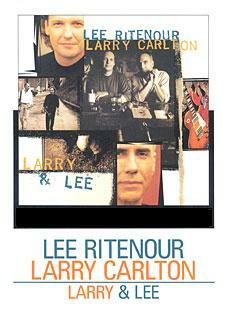 LARRY & LEE RITENOUR / LARRY CARLTON. SHEET MUSIC BOOK WITH GUITAR TABLATURE. BOOK OF JAZZ / FUSION MUSIC. SHEET MUSIC FOR GUITAR WITH CHORDS, TRADITIONAL NOTATION, TABLATURE. 2 LINES OF TRADITIONAL NOTATIONS & 2 LINES OF GUITAR TABLATURE. Crosstown Kids - MUSIC BY LEE RITENOUR. Low Steppin' - MUSIC BY LEE RITENOUR and LARRY CARLTON. L.A. Underground - MUSIC by LEE RITENOUR. Closed Door Jam - MUSIC BY LARRY CARLTON. After the Rain - MUSIC by LEE RITENOUR. Remembering J.P. - MUSIC by LARRY CARLTON. Fun in the Dark - MUSIC by LEE RITENOUR. Lots About Nothin' - MUSIC by LARRY CARLTON. Take That - MUSIC by LEE RITENOUR. Up and Adam - MUSIC by LARRY CARLTON. Reflection of a Guitar Player - MUSIC BY LARRY CARLTON.